Today I'm sharing projects featuring the gorgeous new stamp set, Pure Florals: Gerbera along with three new digital collections that will compliment not only Pure Florals: Gerbera but many other projects too! So, shall we get started? First up is a card that features the lovely outline image of a gerbera (the set also contains a solid image of the same gerbera which looks fabulous when stamped over this outline!) along with a strip of coordinating DP printed from the Pure Florals: Gerbera Digital Collection. I stamped the outline once in latte ink (A Muse) and then stamped the same image over it again in kraft ink (Papertey Ink) - it softens the lines and gives a more organic style image. Trust me, it looks better IRL! 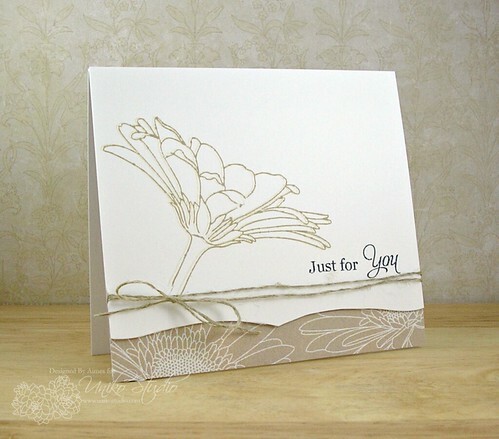 The sentiment is one of many that comes with the Pure Florals: Gerbera stamp set and I love that the sentiments are individual stamps - allowing you create your custom sentiments for that special someone. I'm entering the two cards above into the Moxie Fab World: Stamp It! Cards Week: The Thank You Challenge. Warning: You may need your sunglasses on now as I feature a project using some seriously scrummy paper from the Eclectic Mix Summer Digital Collection! It's fun, fabulous and bright! Psssst! Don't tell the other digital paper packs, but I reckon this one is my fave right now....! So there you have it - some fabulous new goodies available from Uniko Studio from today! Be sure to check out the Uniko Studio Blog for some more fabulous projects featuring today's release! Thank you so much for stopping by! I know I've been a little MIA recently - the reason why is that I've been super busy getting work finished before our school closes for the summer holidays which is next Friday and I'm also trying to get a summer school organised at the same time. 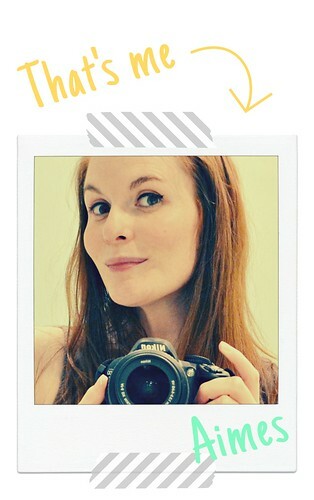 Stampy therapy and blog hopping await me at the end of next week - can't wait! 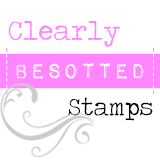 Oh wow Aimes...you knocked these stamps and the digital papers out of the park. My favorite is the plaid...so soft and delicate. what a trio of beauty, Duchess! You are rocking those digi papers! I LOVE the gerber image...I had several in my wedding bouquet :) LOVE it on kraft. I hear ya on a busy time of year...hang in! The summer is almost there for you! That gerbera image is gorgeous! I love the soft effect your gave the first two cards. 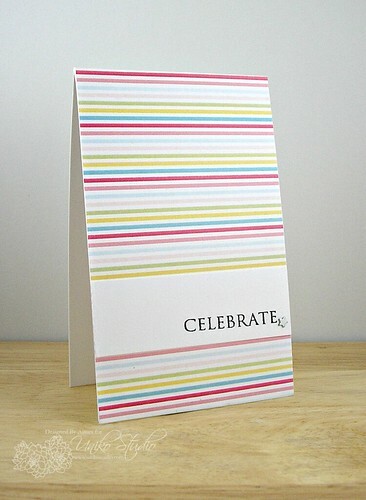 Fun bright CAS card too! Great set of cards! Love them all, especially the second one which uses the leaf shape I loved from pre-production sneaky peeks! Aimes, the first two are just gorgeous and the third is way too much fun! These new stamps and papers are delish!!!! Lovely cards Aimes! Wow I can't get over that Gerbera, I was expecting a full-face sunflower-esque image - that is just gorgeous!